Mississippi native, Kristin Phelps was born into an artistic home. Her mother, who shared craft and creations with her in childhood, nourished her creative nature. A former student of the International Academy of Design in Tampa, FL, she earned an associates degree in Graphic Design from Hinds Community College. Kristin’s art took on new life after she accepted her first commission journey and became a mother in 2015. Her love of fashion design and bold expression pushes her to new heights of art exploration. 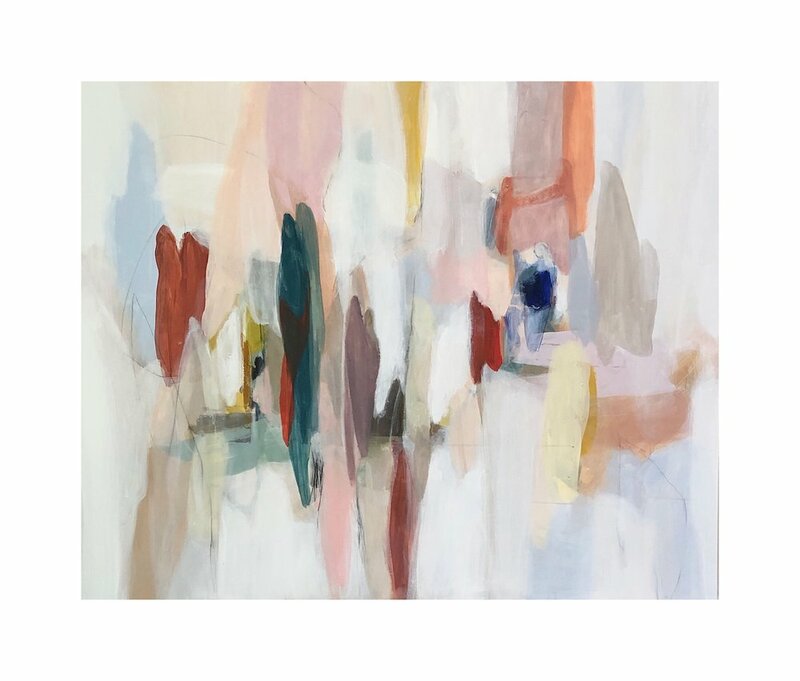 Her artwork can evolve from abstract illusions to romantic hidden silhouettes, while still evoking strong emotions through color, form, and composition. Statements of life, the human condition, and femininity can be found in the lyrical juxtaposition of her bold brushstrokes and array of mediums. Kristin currently resides in Florence, Mississippi where she is a wife, mother, child of God, and an abstract artist.